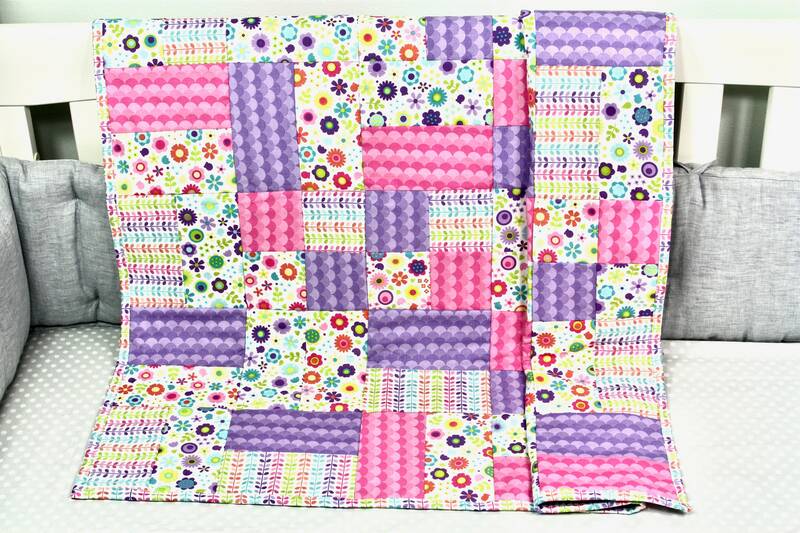 Baby Quilt, Handmade Baby Quilt, Modern Baby Quilt, Baby Gift, Baby Shower Gift, Contemporary Quilt, Baby Quilt For Girl. Handmade Modern Baby Quilt, Baby Gift, Baby Shower Gift, Contemporary Quilt, Baby Quilt for a Girl. 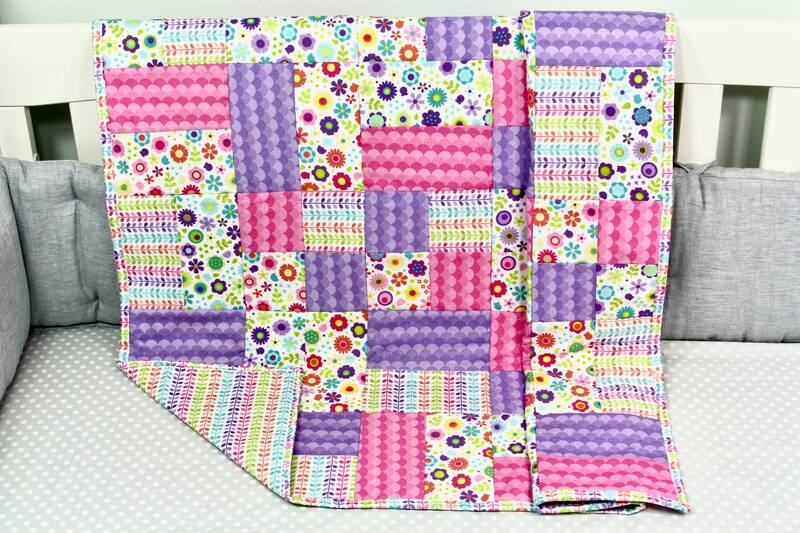 This a beautiful handmade quilt for that special little girl. It uses both pinks and purples to achieve that look. It measures approx. 36'x36'. That makes it the perfect size for not only a crib quilt, but also for a playmat, use in a stroller or car seat, or just snuggle time. Machine wash in cold water on the delicate cycle. Air dry or tumble dry on the lowest setting on the dryer. Minor shrinkage may occur.